This week we are going to look at the Charge Phase, which after the movement phase, can be the most important phase of the game, even for armies that do not specialize in close combat, as it sets board position and impacts our opponents’ options in their coming turn. For this inspection, we are going to go through each step of the phase in order before looking a bit more in depth at the last step, making Charge Moves. To begin, it is important that we are mindful of each step in the phase and have a plan for the phase across all our units. 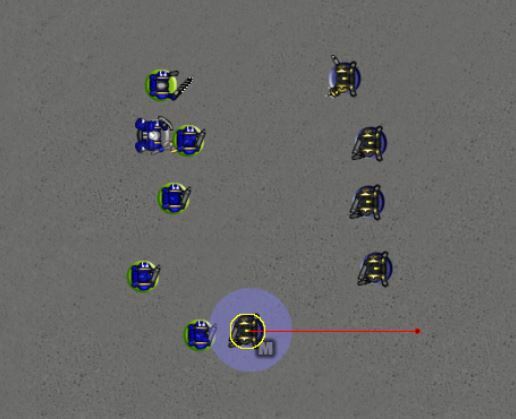 The first step in the Charge Sequence is to choose a unit to charge with. 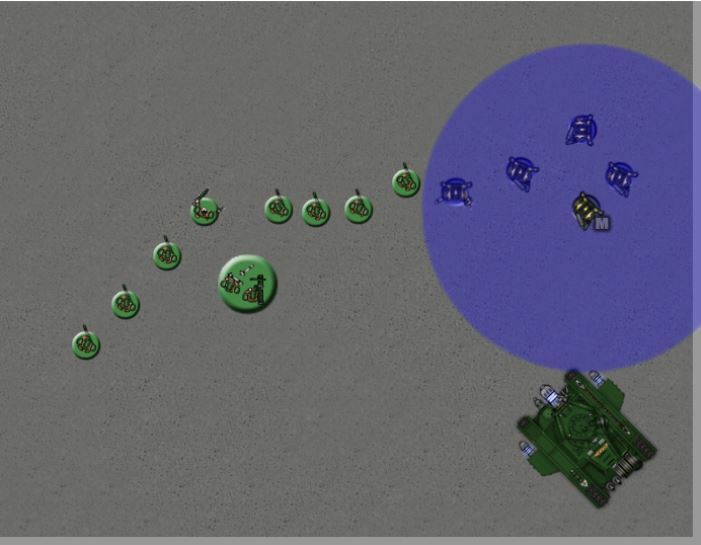 Outside of rules restrictions (cannot have fallen back or advanced, must be within 12” of an enemy but not within 1”) we also need to weigh the impact of possible Overwatch and how moving one unit can impact our ability to charge with another. What units do I want to charge (and why)? Do any of the units I want to charge have Overwatch (or combat or other abilities) I need to be concerned about? What units do I want to charge with (and why)? Where do I need each unit to go at the end of the phase or at the end of the turn? These questions will help determine if there needs to be a specific order we declare our charges in. 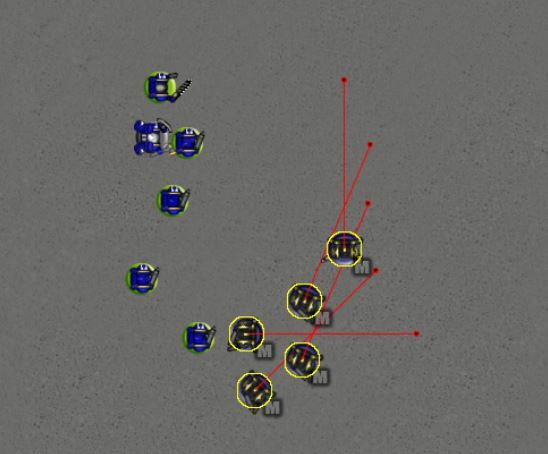 For example, if we want to charge one target with two of our units, we need to be sure that whichever we declare first can endure any overwatch as well as complete their charge without blocking out the other unit we want to charge with as well. The first question is what enemy units do we want to charge and why. The important part of this is really the why. 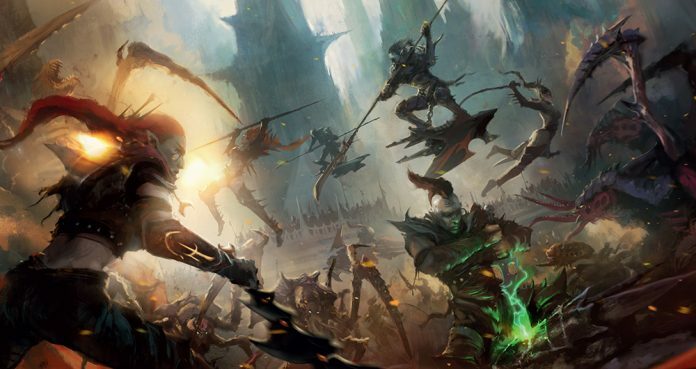 Charges and the combat that follows do not have to be simply about inflicting damage. That is one goal, but there can be others that would influence a shooting-centric army to declare charges on a combat-centric enemy, like dictating which units a combat-focused enemy gets to fight. 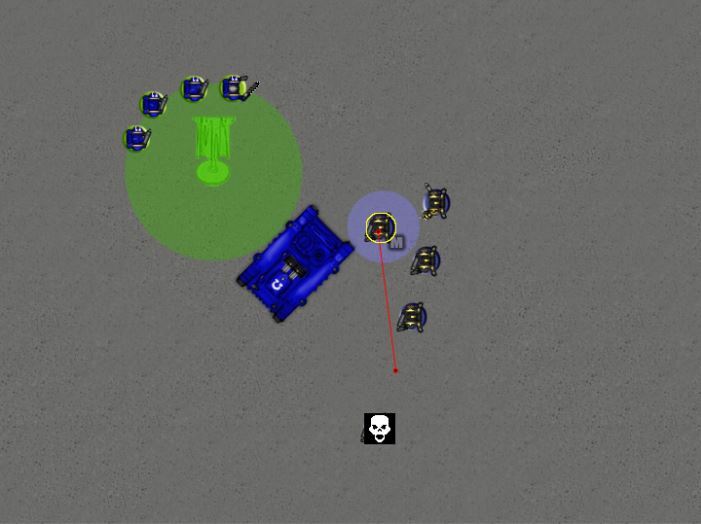 If we have a unit that will almost certainly survive a round of combat with an enemy combat unit, charging them means they will usually be unable to leave that combat and charge a more desirable target in their own turn. The rest of the above questions cascade down once we have our targets picked out. If a unit we want to charge has overwatch that could devastate one of our potential charging units we need to see if there’s anything we can do to mitigate that. 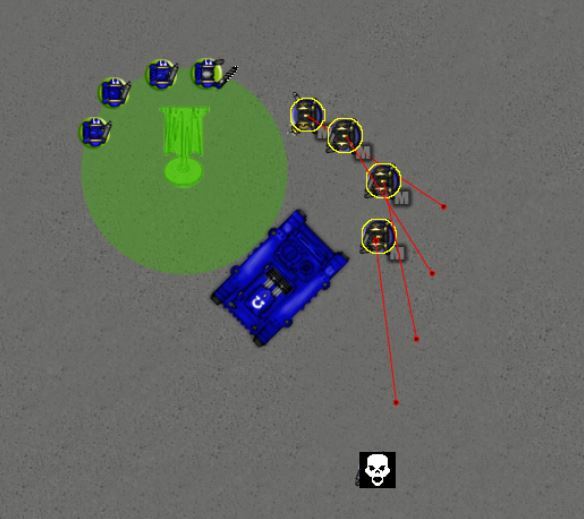 For example, could we charge in with a tankier unit first (or literally a tank) or a unit from out of line of sight? Similarly, if the “why” for needing to charge the unit with devastating overwatch is to keep them from shooting in the next turn, we can instead look to charge a different unit and use our charge and then Fight Phase moves to tie up the unit; we won’t be able to attack it, but it will accomplish the same goal – forcing it to fall back and not fire. Once we have a plan for how the entire Charge Phase should go, it’s largely a formality of following through to pick the first unit to declare charges. 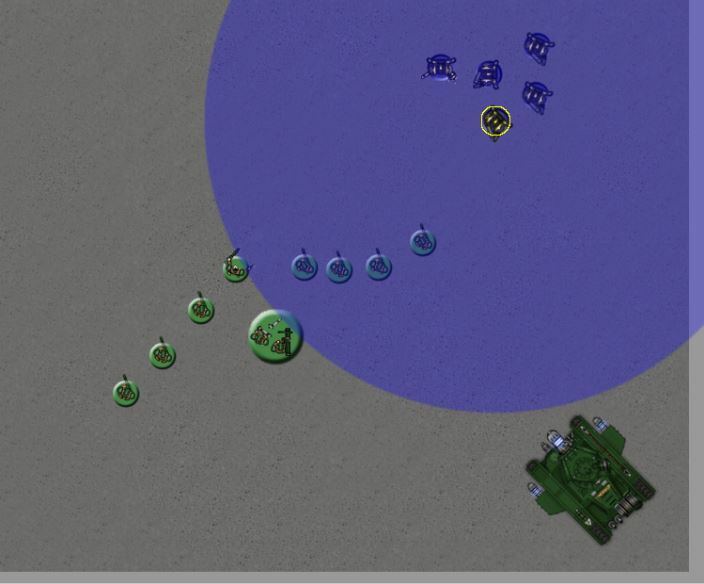 Once we pick our unit that will charge, we declare any and all targets for their charge. This should be done while planning, but some things to keep in mind while declaring targets are that we can declare against any unit within 12” and outside of suffering overwatch from each, there is generally no other limitation or reason not to declare multiple targets. 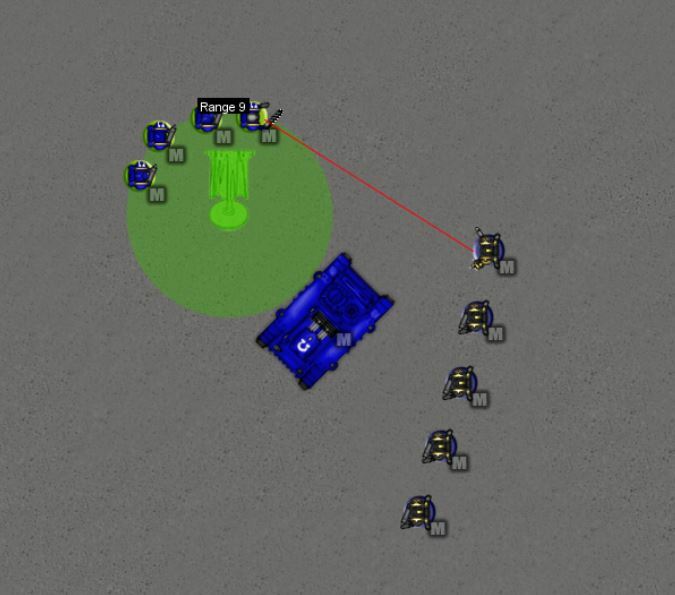 Declaring multiple charge targets can be particularly useful when our real or most important charge target would require a longer charge, but there is a closer unit we could use to leapfrog to the further away unit and have a more makeable charge. Similarly, if the unit we are charging is screening a Character, we may want to declare against that Character as well in case our opponent chooses to Heroically Intervene so we can still allocate attacks against them. Lastly, we also want to make sure that we declare on any units we would have to come within an inch of in order to successfully engage our target. Once we’ve declared all of our targets, our opponent gets to overwatch us. After that is resolved we get to move onto the meat of the Charge phase: actually moving our charging units. … roll 2D6. Each model in the charging unit can move up to this number of inches – this is their charge distance this turn. 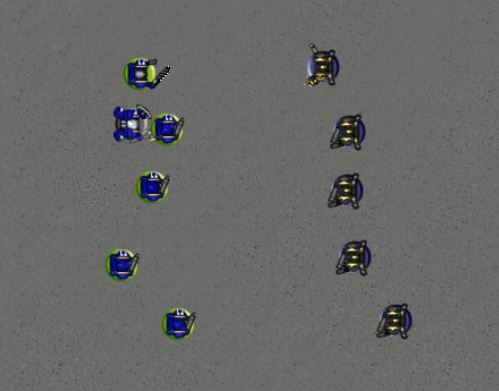 The first model you move must finish within 1″ of an enemy model from one of the target units. 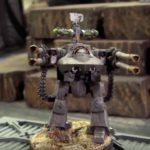 No models in the charging unit can move within 1″ of an enemy unit that was not a target of its charge. To break that down, our charge is successful as long as the first model we move can be within 1” of a charge target by moving no more than the result of our charge roll. That is pretty much it. The only other requirement is that no other models move within an inch of undeclared enemy units with this charge move. 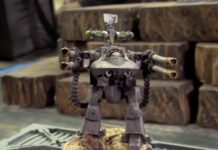 This means the rest of the unit is free to move in absolutely any direction, even moving past or away from the charge target. It’s the bottom of possibly the last turn and the objective held by the Ultramarines decides whether it is an Ultramarine or Black Legion victory. 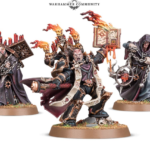 There are only four Tactical marines left holding the objective and we have 5 Black Legion Space Marines in charge range. A successful charge wins us the game. However, a 9” charge is far from guaranteed, even if we still had a command point to help reroll the charge distance. On the other hand, the Razorback is within 3” of the squad, a guaranteed charge. We could just charge the Razorback, but if we take any losses to overwatch (and one is likely) we can no longer control the objective, only contest it at best. 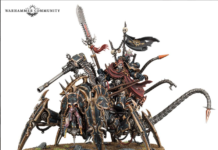 Our better option is to charge both the Razorback and the Tactical Marines. After Overwatch, we lose one Marine and then roll our charge. 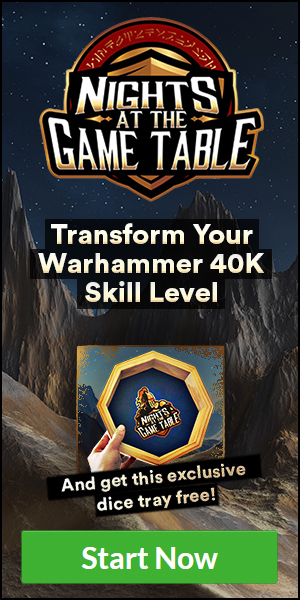 If we roll a 9 or higher, we can just charge straight at the Tactical Marines, making sure we maximize the number of attacks we get there. 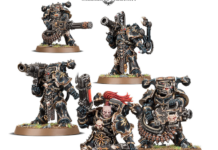 From there, we move the rest of the squad, starting with the Aspiring Champion getting as close to the Tactical Marines as possible, making sure he ends closer to a Tactical Marine than the Razorback. With this positioning, we are set to take the objective. We will cover Pile-in and Consolidation in more detail next week, but careful application of both of those moves should result in the Aspiring Champion and one other Marine able to swing into the Ultramarines, while the other two skirt around the Razorback, ending only marginally closer after each move, with most of the movement taking them into range of the objective. 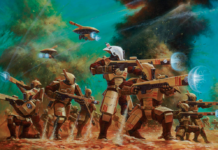 In the ensuing combat, the squad likely kills one or two Tactical Marines and usually loses none or just one more. The result is not a guarantee, but only charging the Tactical Marines or only charging the Razorback both result in at best a draw. By carefully considering our charge movement however, we are at worst earning a draw, and likely getting a victory. In the next scenario, we have our dutiful Black Legionaries facing down an enemy Tactical Squad screening their Captain. If we just charge straight in, our Legionaries will get Heroically Intervened by the Captain, who will just about wipe out the squad single handedly. 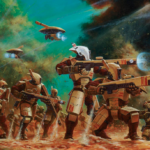 Additionally, we don’t have much of an advantage in a straight up fight with the Tactical Marines, so why should we take a direct and even fight? 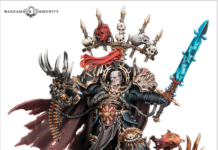 Let’s say we get a 6 on our charge roll again, which puts every one of our legionaries in range of at least one model. But we can take advantage of positioning to heavily skew the fight in our favor by engaging only at one end of the Ultramarine line: the bottom. We have moved our unit to concentrate on the bottom Ultramarine, and by so doing we have minimized our opponent’s ability to fight back. In our pile-in we will continue to move around the bottom of the enemy unit while also getting into range to swing with every model. The likely result is we will present our opponent with several bad choices; if we kill any models he must choose to kill off his sergeant, or possibly forfeit his chance to swing back with more than one model, if at all, as pulling a middle model would mean they may not be able to pile in and maintain coherency, and pulling the bottom model means he will not get to fight back at all. This time we rolled a 7 for the charge distance and moved as seen above. The champion moved first, going just past the guardsman on the end and just barely landing within an inch. The rest of the squad looped wide, with our front Legionary moving as close as he can to the tank while making sure he ends closer to the tank than the closest trooper. With his 6” bubble still visible, we can see he will be able to get within an inch of the tank after his two 3” combat moves, and the rest of the squad will be able to chain him in coherency with the Aspiring Champion. These are just a couple examples of all the ways we can use the Charge Phase to outmaneuver our opponents. Next time, we will look at the Fight Phase, specifically the Pile-in and Consolidation movements, concluding the above scenarios and look to see how we can continue to use these movements to our advantage on the table.